WELCOME HOME TO THIS BRILLIANTLY UPDATED AND METICULOUSLY MAINTAINED OPEN CONCEPT COLONIAL SITUATED ON A LARGE CORNER LOT W/ALL NEW LANDSCAPING IN THE HEART OF COMMERCE! BOASTING 4 BEDROOMS, 2 1/2 BATHS, & OVER 2200 SQFT, THIS HOME IS PERFECT FOR YOU & YOUR FAMILY! FULLY REMODELED KITCHEN IN 2015 W/BAR, WINE FRIDGE, NEW CABS, RECESSED LIGHTING, MARBLE BACKSPLASH, GRANITE COUNTERS, & GE SLATE APPLIANCES. UPDATED BATHS W/MARBLE COUNTERS. ENJOY YOUR OASIS OF TRANQUILITY IN THE MASTER W/UPDATED BATH, VAULTED CEILING, & HIS&HERS WALK-INS. NEW CARPET, PAINT, WINDOWS & BLINDS, GARAGE DOOR, CEILING FANS, & CONCRETE PATIO YEARS RANGE FROM 2012-2018. RING DOORBELL SYSTEM, NEST PROGRAMMABLE THERMOSTAT, & ALARM SYSTEM. ENJOY THE COMMUNITY FEEL IN THIS SUB W/THE PARK DOWN THE STREET. PLAYSCAPE IN THE BACKYARD INCLUDED W/THE SALE. 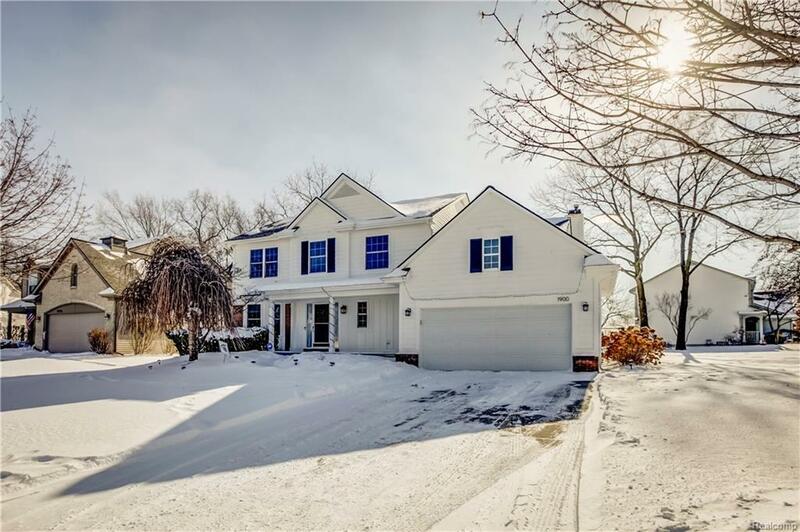 IN CLOSE PROXIMITY TO FINE DINING, SHOPPING, & AWARD WINNING WALLED LAKE SCHOOLS. YOU'RE NOT GOING TO WANT TO MISS OUT ON THIS ONE... SCHEDULE YOUR PRIVATE SHOWING TODAY!